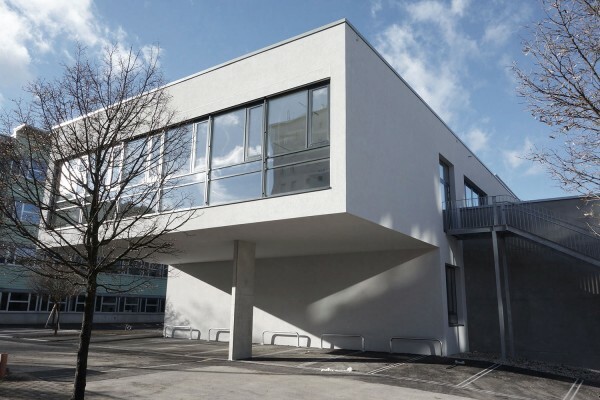 The Laaerberg high scholl in the 10th district of Vienna received a two-story extension. 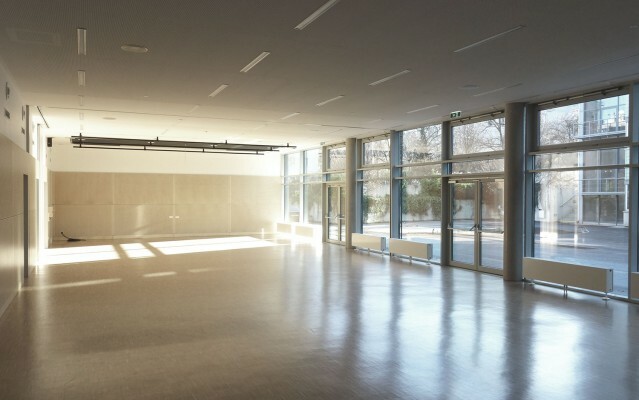 A 220 m² large multipurpose room was added to the ground floor mobile partition walls in order to create flexible spaces. 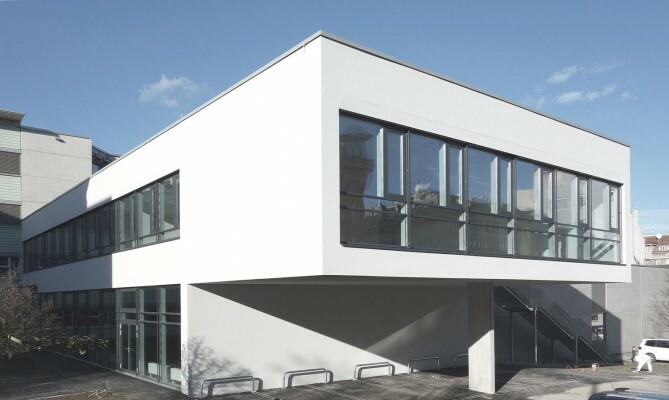 On the upper floors are located the day care centre and a large common area which cantilevers approx. 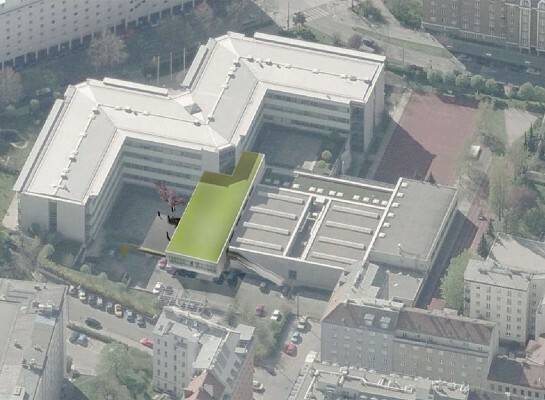 7,5 m above the parking spaces and fire emergency exit below. The extension was constructed in reinforced concrete. Both vertical and horizontal loads are carried by reinforced concrete wall panels in both longitudinal and transverse directions. Prefabricated spun concrete columns transfer the vertical forces from the façade openings between the edge beams in the southern façade. Strip and pad footings are used for the building foundation and their level was adapted to the existing foundations in the connection between the extension and the existing building.